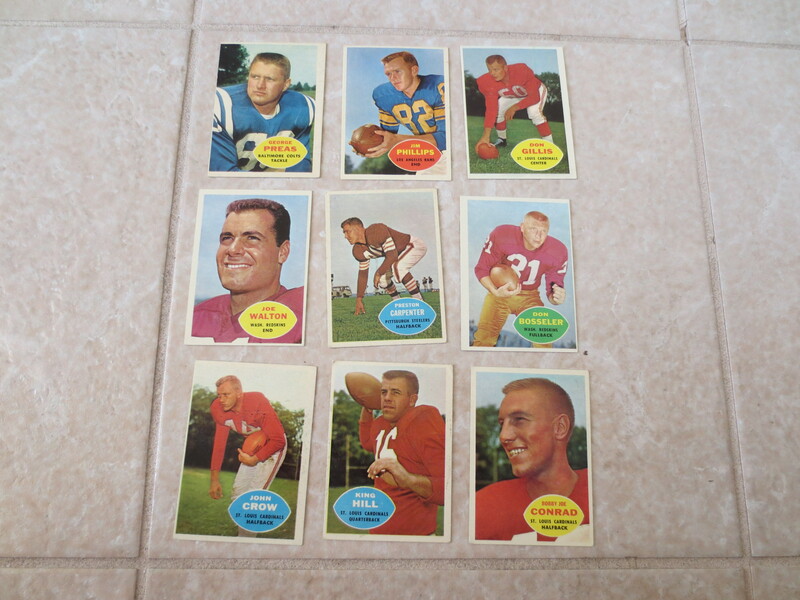 First, we have eight different 1961 Fleer football cards including John Unitas #30 which I would grade about excellent. 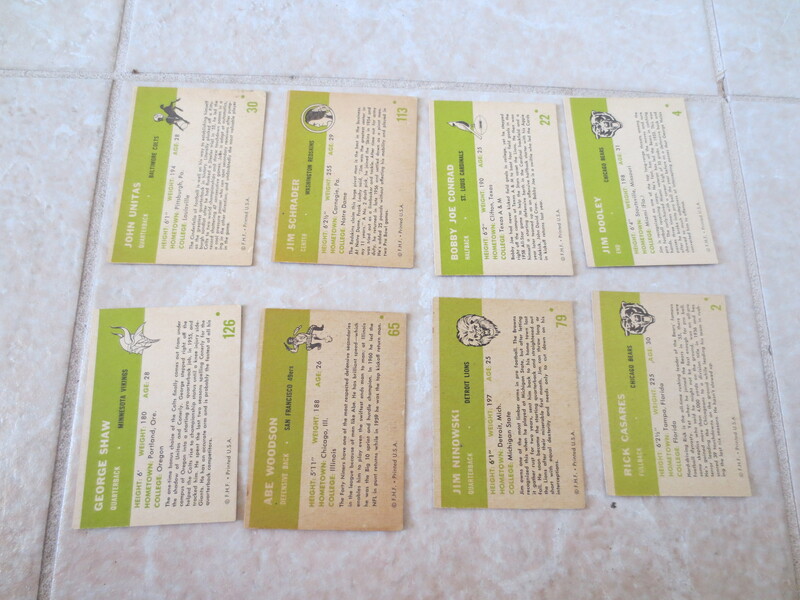 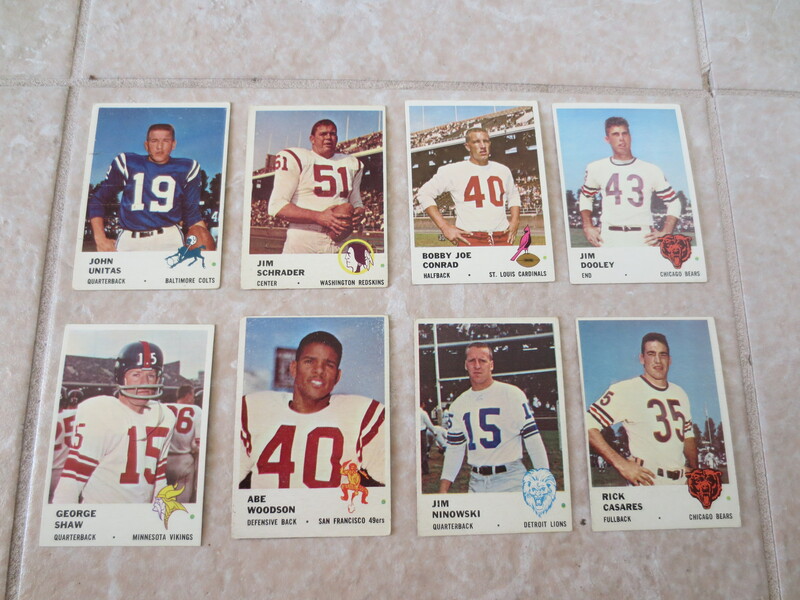 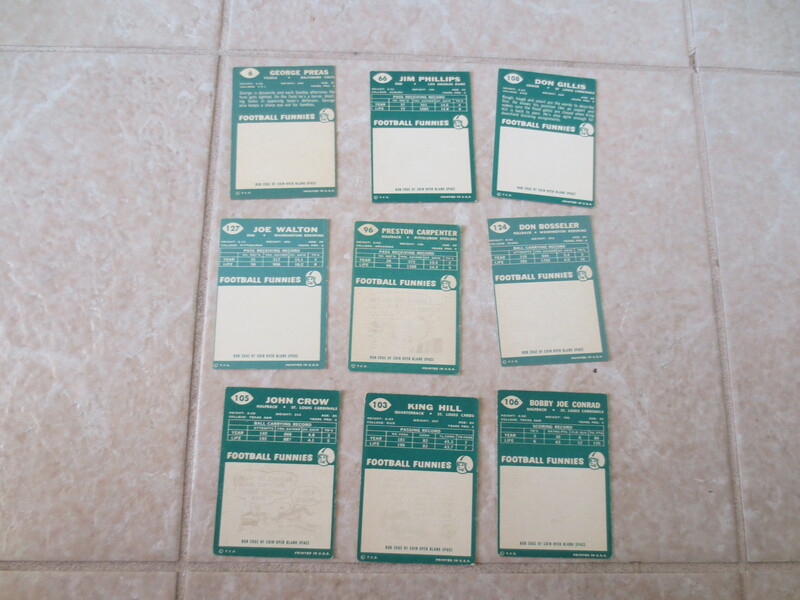 There are also nine different 1960 Topps football cards in nice condition. I only graded these ex+-nmt due to the fact that some had centering problems.